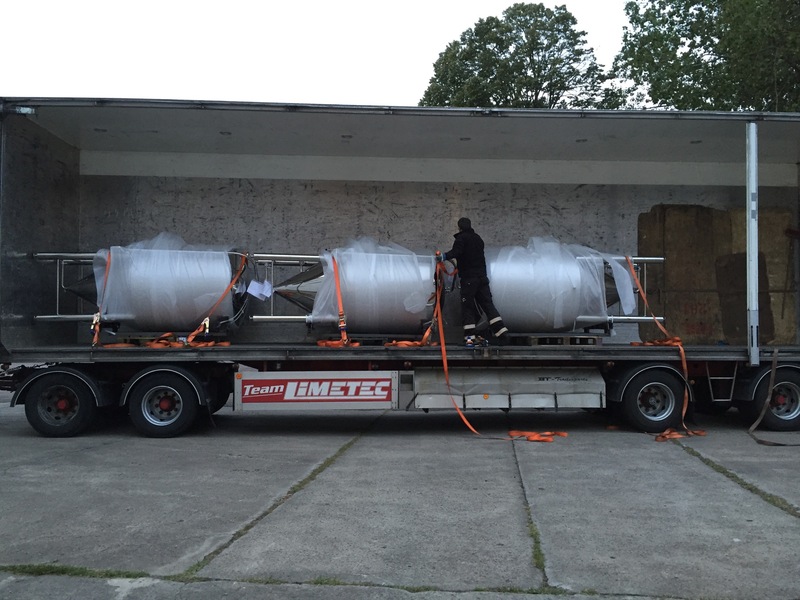 Today Christian has been visiting the German manufacturer of our new bottling line, KTM Troxler, in Ettenheim. The main purpose of the visit was to learn how to set the machine up and to make it work in line with our other bottling components at the brewery. 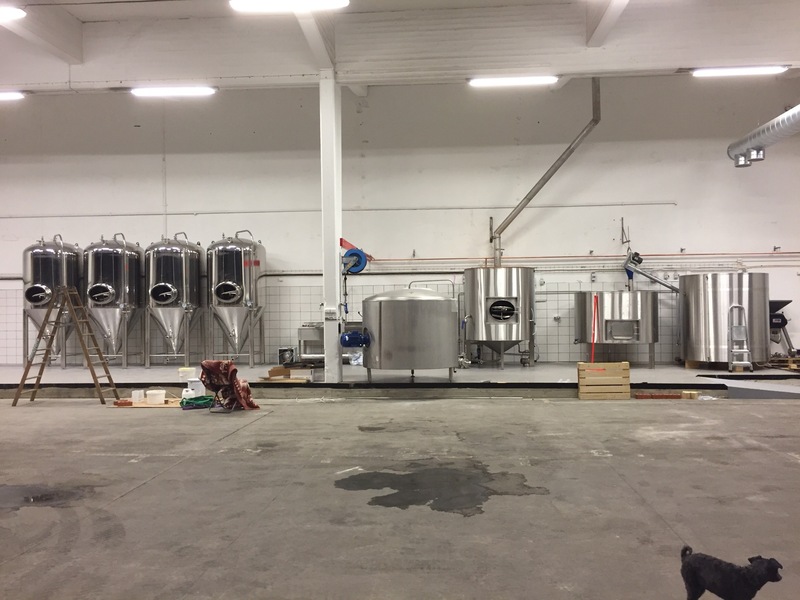 The brewhouse has reached Landskrona! 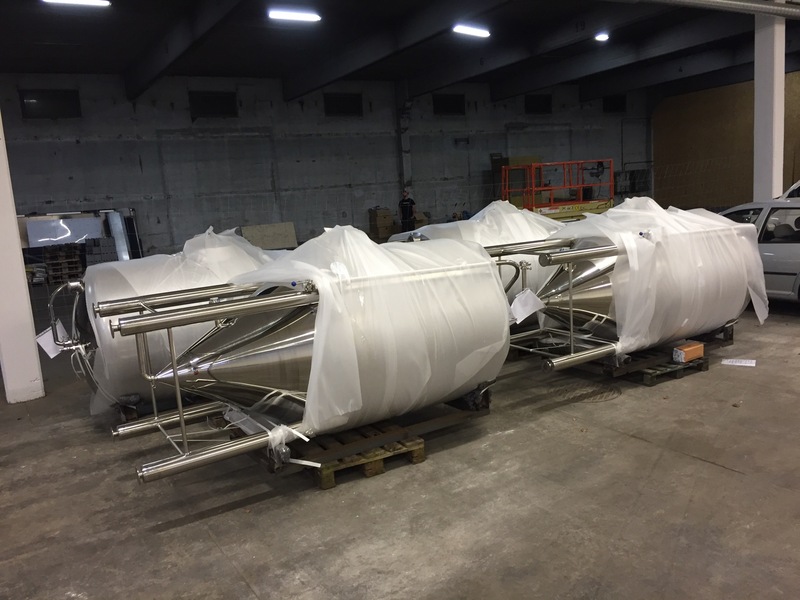 Finally the brewhouse (20hL) got to us. Now it’s time to play! 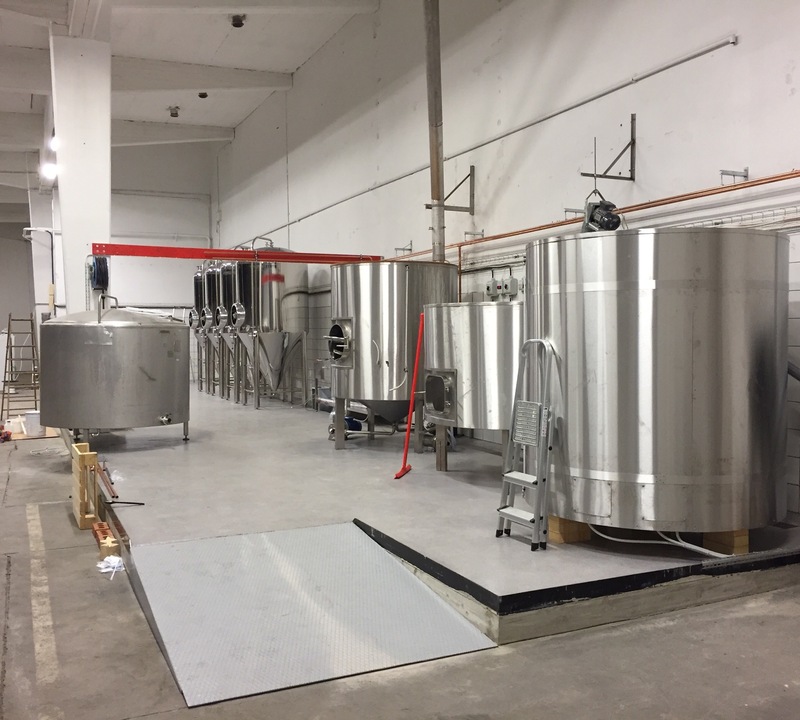 Finally our brewing area has gotten a proper floor where we can mess around with water and have a jolly good time. The wall tiles is also starting to get into place and on Wednesday we hope to be able to brew the first test batch.